It would be fair to say that I’ve never been the biggest fan of X-Men comics in general. I like the basic concept enough – superpowers as a metaphor for whatever oppressed minority group one might wish to champion as trying to make the world a better place while being hated and feared by the same people they’re trying to help. Unfortunately, that most universal of comic book concepts has frequently been forgotten by writers who became lost in the minutia of continuity. This made the X-Men books one of the hardest series for a new reader to get into for the longest time. 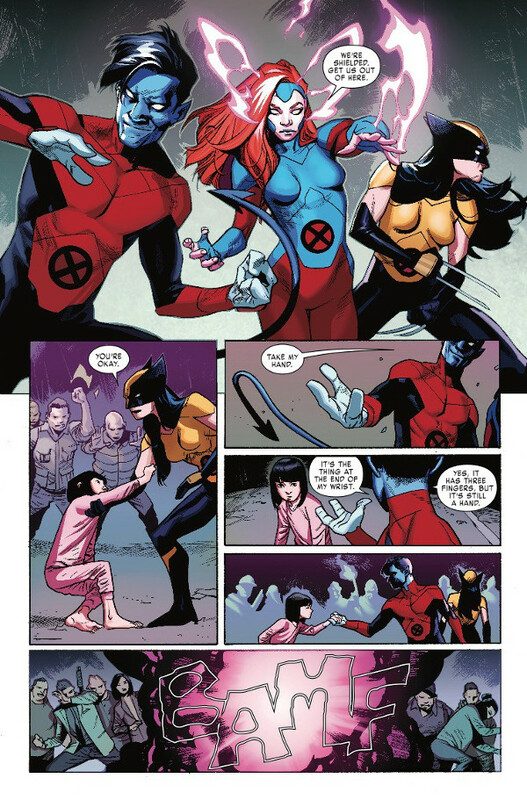 Thankfully, X-Men: Red #1 is both everything an X-Men comic should be and nothing like what most X-Men comics have been for the better part of the last three decades. 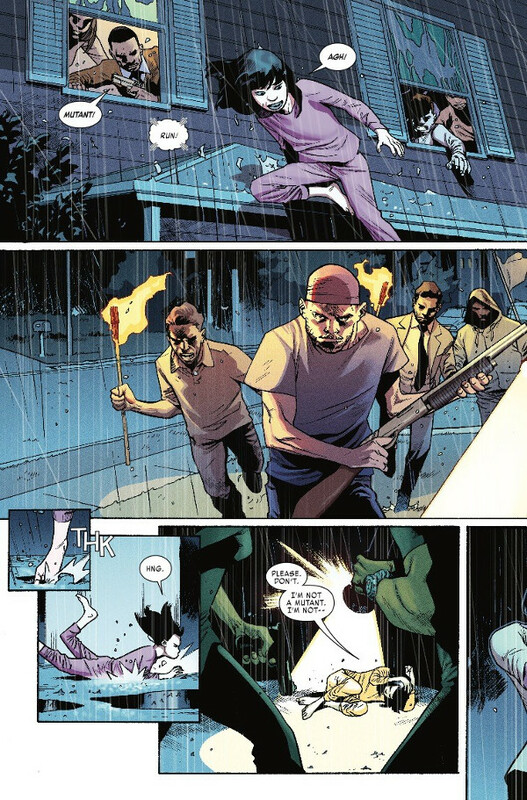 If you’ve never picked up an X-Men book before or haven’t seen any of the X-Men movies, you’ll be able to grasp what it is about immediately from the opening sequence, in which a team of mutant heroes move to save a child from a lynch mob. 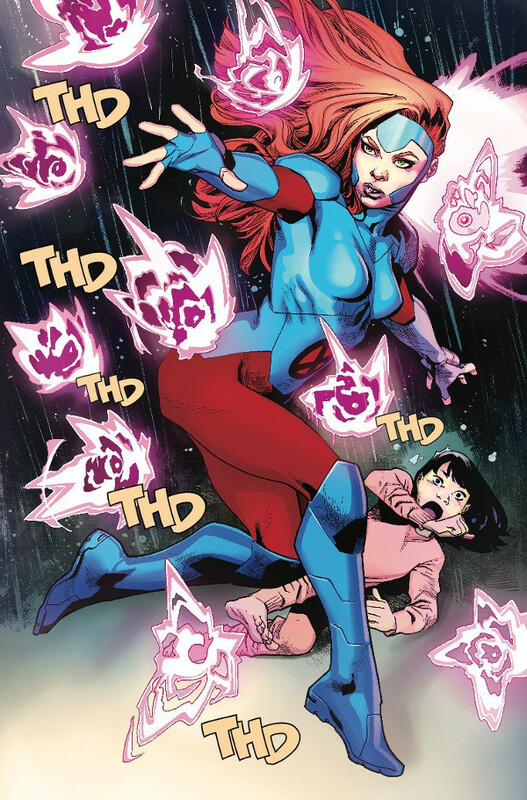 The rest of the issue focuses upon team leader – telepathic and telekinetic mutant Jean Grey – and her realization that she needs to do something more than just save lives and stop bank robberies in order to build a better world. 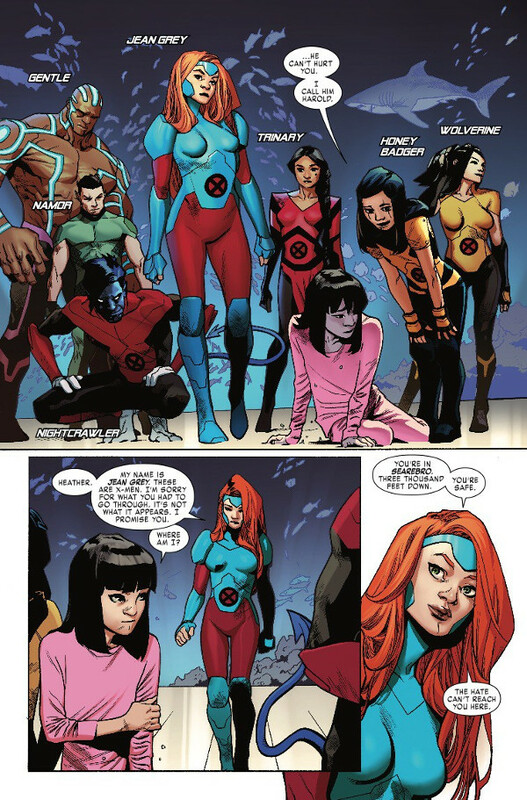 What follows is a tremendous study of Jean’s character as well as a smooth explanation on the current status of mutants in the Marvel Universe. 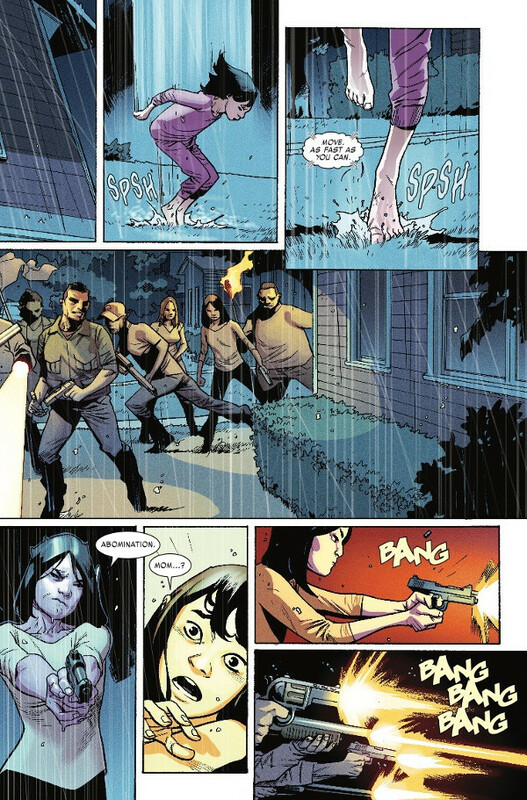 Writer Tom Taylor manages this exposition with surprising efficiency. Many comic writers go into full-on professor lecture-mode when attempting to develop their world. Taylor avoids this with a generous amount of humor sprinkled among his factoids, tricking the reader into learning even as they are laughing. 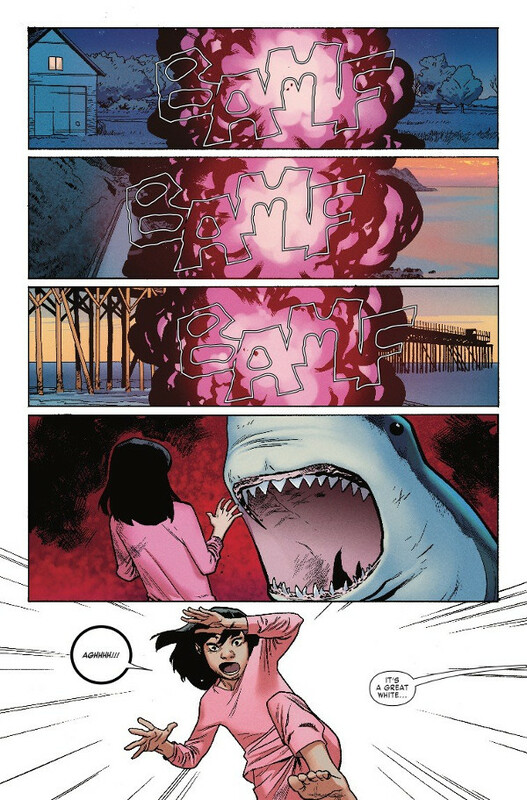 This is par for the course for Taylor, whose work on All-New Wolverine has turned that series into one of Marvel Comics’ most underrated treasures. And yes – he’s the one responsible for creating a tween girl clone of Wolverine called The Honey Badger. If that doesn’t make you smile a little bit, you might want to skip this book, though there is plenty of high drama and action to go along with the comedy. Artist Mahmud Asra does a fantastic job capturing the essence of Taylor’s scripts. The action sequences are well-blocked and the characters all have distinctive designs with practical costumes – no improbable high-heels for the ladies on this team! 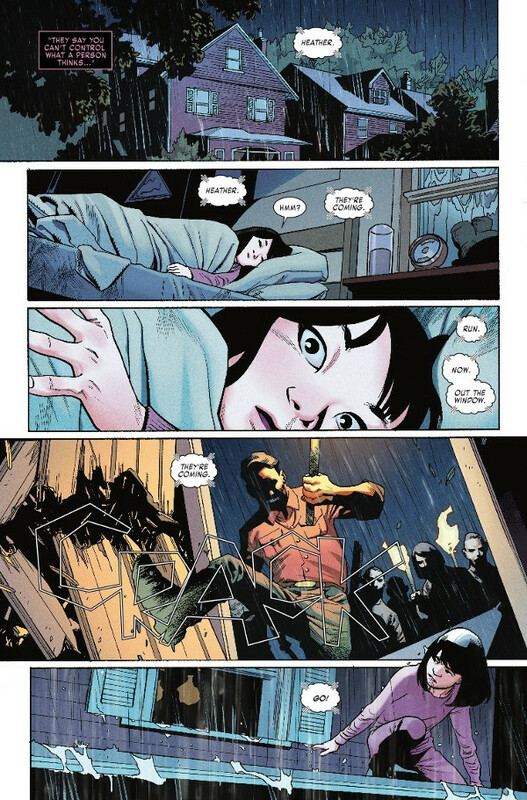 There are a few minor glitches here and there – a scene where the perspective seems somewhat off or a panel where a character’s stress lines are so thick they look more like wrinkles. Thankfully, these moments are few and far between and the colors by Ive Svorcina are nice and vivid. 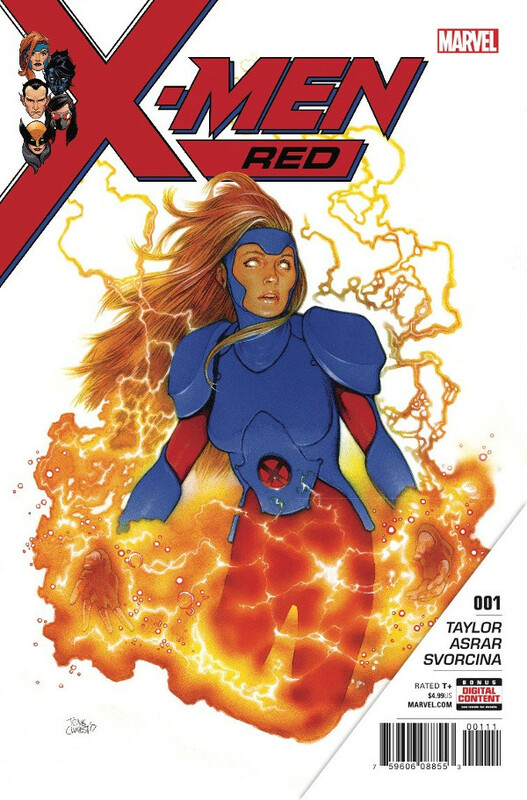 Bottom Line; If you’ve been avoiding X-Men for fear of it being too much work to get into, X-Men: Red #1 is your perfect entry point into one of Marvel Comics’ most epic legacies. 9/10.